We received some cracking gifts of wine at our housewarming. Thanks friends! Palliser Estate Martinborough Pinot Noir 1993 – gift from MH – drink now. Looking forward to this! 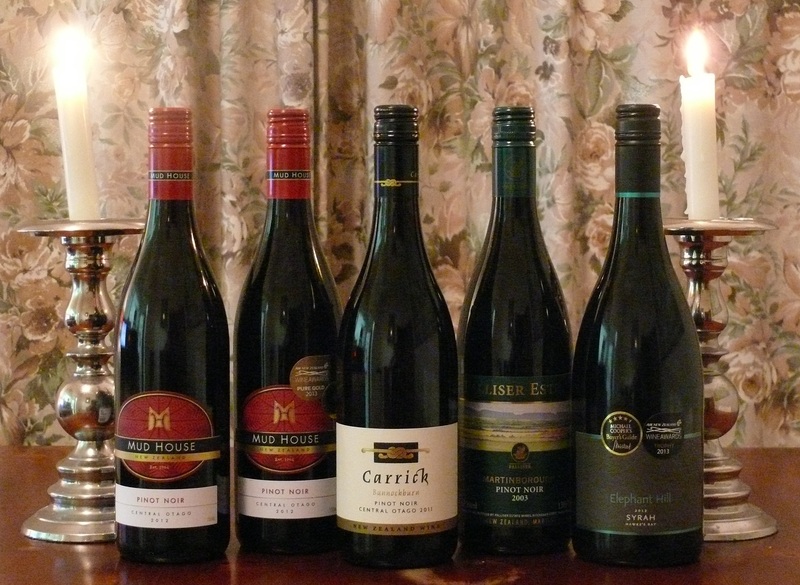 Carrick Bannockburn Pinot Noir 2011 – gift from M&G – drink 2015. I tried the second label Unravelled last year and enjoyed it, so looking forward to this too. Mudhouse Central Otago Pinot Noir 2012 – $$ – drink 2015-2016. An Air NZ gold medal winner and Champion Commercial Red Trophy wine. Worth a swig. This entry was tagged 1993, 2011, 2012, Bannockburn, Carrick, Central Otago, Elephant Hill, Hawkes Bay, Martinborough, Mudhouse Wines, Palliser Estate, Pinot Noir, Pool Room, Syrah. Bookmark the permalink.